At the southern tip of the Burren, near Corofin lie the ruins of the Dysert O’Dea church. The complex got its name from the O’Dea clan, whose fortress is located nearby. 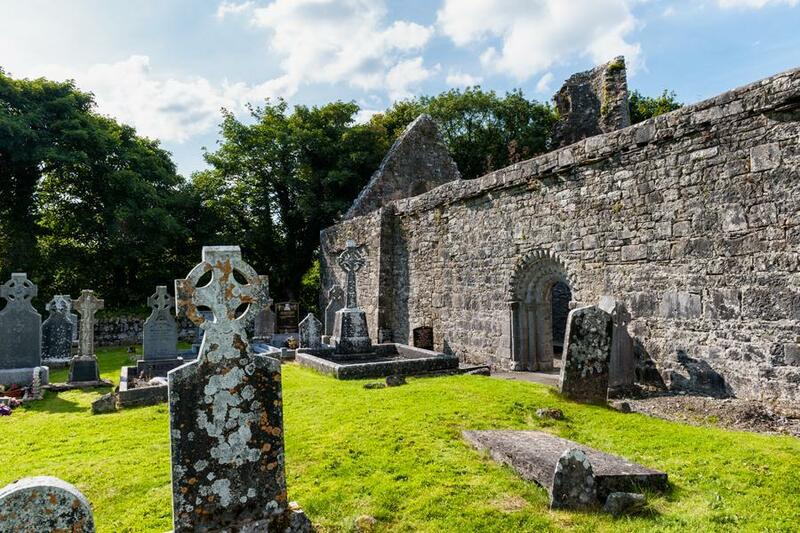 The church’s remains from the 12th century stands in a spot of an early Christian monastery founded by St. Tola in the 8th century. 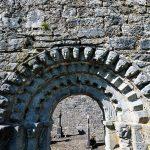 Dysert O’Dea is famous for its romanesque doorways on the ruin’s south side. 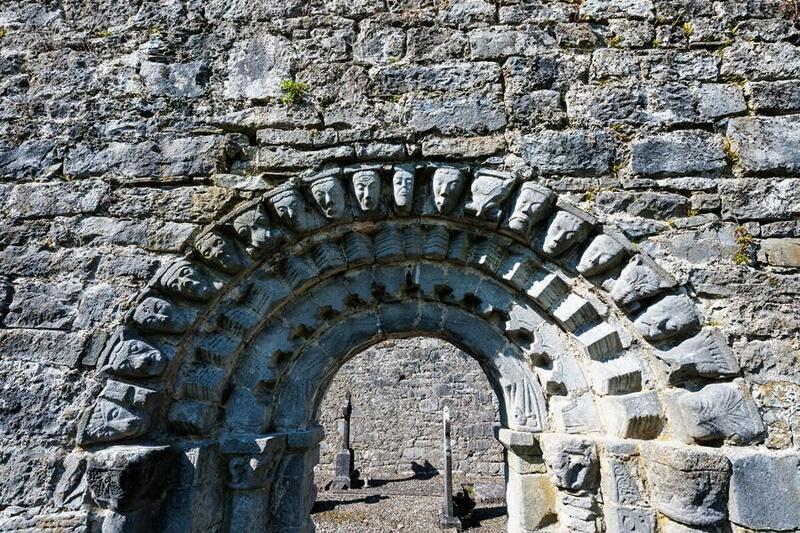 Sophisticated geometric shapes as well as human and animal heads carved in stone are decorating the portal’s round arch. A distinct Eastern influence can be reckoned in the faces – the crusades and trade routes to the East have left their traces. Outside the northern wall stands the stump of a once mighty round tower. 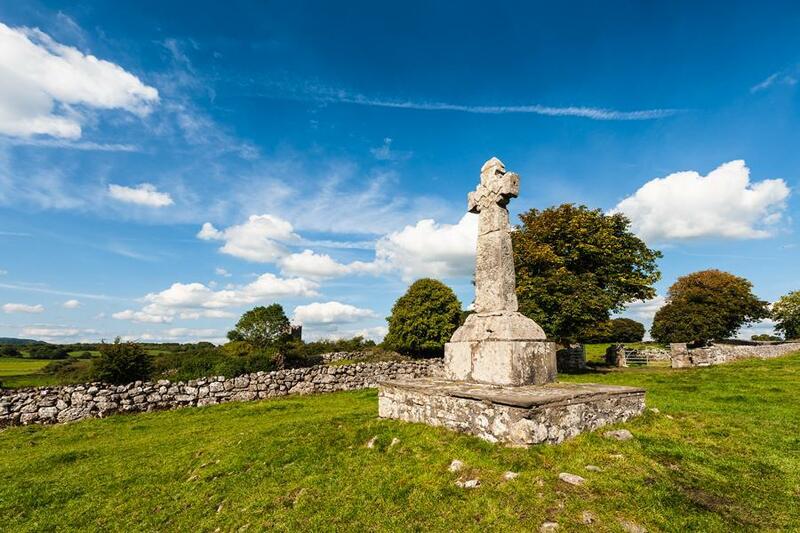 Leaving the complex over the eastern graveyard wall, you reach an impressive high cross, free-standing in the field. 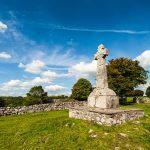 The 12th century high cross is well known as the “White Cross Of Tula”. It features many characteristics that are common for the transformation of the late crosses. 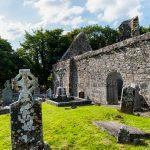 For example, the typical ring of prior Celtic crosses is missing. Regarding the depicted figures it stands out that the bishop (presumably Tula) is shown taller than Jesus. The high crosses slowly evolved from being a ritual object to a sign of the church’s power.